The conference room is equipped with a cherry color Multimedia Podium with a keyboard shelf and wheels($803 + $175 shipping). It is 39" wide and is constructed of 1" thick laminated MDF. The podium is fitted with a Cable Cubby ($270), where all the cables for a laptop connection are stored. It contains power outlet, VGA cable, audio cable, and Ethernet cable. The audio cable is conncted to the Projector's speakers. The podium is fitted with a refurbished built-in desktop computer ($300): Dell OptiPlex, Intel Core 2 Duo 2.9 GHz E7500 Processor, 6 GB DDR2 Memory, 250 GB SSD Hard Drive, and DVD. It is running under Windows 10 operating systems with Microsoft Office, Adobe Connect, Skype, and Zoom. The monitor has two USB ports on its right side for inserting USB memory sticks containing the PowerPoint presentations. The computer uses the Projector's speakers for sound. 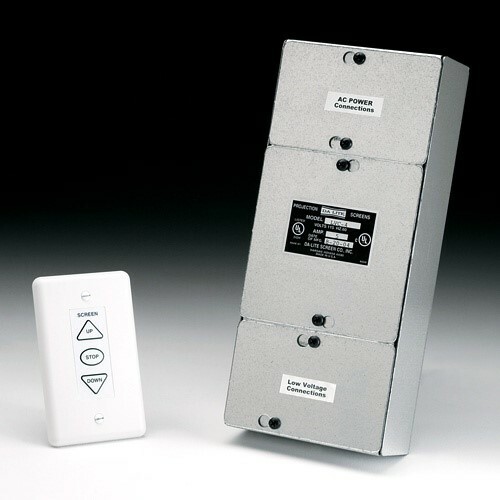 The screen is controlled by a Da-Lite three-button low voltage control switch ($220). The room is equiped with a 14 “ Atomic Wall Clock Model WT-3144S. If your laptop is a member of the Animal Science domain, then you can connect to the wired network; otherwise you can connect to the Campus wireless network. There is no active telephone line in this room. There is no wall-mounted VoIP NAM in this conference room, but users may connect a campus VoIP phone to network jack on the window side of the podium. This network jack provides both the data and Power over Ethernet (PoE) for the VoIP phone by being connected to a Trendnet Gigabit PoE injector model TPE-113Gl (Version v2.1R). The phone number for the Animal Science Checkout VoIP conference phone is 530-754-4908. After plugging the VoIP phone to this jack, wait up to five minutes for the phone to do its registration process. During this time, the phone may not have the dialup tone and may appears as not working, but be patient and wait for the registration to finish. The projector fan must be cleaned Once a year. Description: CP-X430 Hitachi Projector Lamp Replacement. Initially installed on 20 March 2018.